We'll help you save on Aviva Insurance! Aviva Insurance is one of Canada’s leading, most experienced (since 1835) insurers in property and casualty insurance. Aviva provides protection for homes, cars, recreational vehicles, groups and businesses. Aviva provides excellent customer service to its customers from its 25-plus locations across Canada. Aviva’s team of over 3,000 employees serves three million customers nationally. Simplicity and Ease of Selecting Insurance Products : Aviva’s wide-range of insurance solutions & a licenced ThinkInsure broker makes selecting the perfect insurance package for you quick, easy and straightforward. Aviva’s Community Fund : A community-minded company interested in giving back. Since 2009, through its community fund, Aviva has contributed $5.5 million to projects across Canada – important projects such as programs for at-risk youth, education improvement, and environmental and cultural protection. Home Insurance : Coverage for your house, condo, tenant insurance, property damage. Ovation : Aviva offers customized insurance for high value homes, vehicles and other assets. Contact us today toll-free at 1-855-550-5515 and a ThinkInsure Broker will answer any questions you have about Aviva Insurance or get you a quote. Customized business insurance for the automotive industry : Dealerships, body shops or gas stations – coverage for equipment breakdown, tools & resources and commercial auto insurance. Insurance for Manufacturing & Wholesaling : For wholesale products and/or manufactured goods – such as plumbing supplies, fruit and vegetables or clothing. Insurance for contractors and construction companies : Customized to your needs. Realty Insurance for Property Managers and Owners : Protection for your assets and your people. Professional and Business Services Insurance : Protection for your small business services company. Insurance for educational institutions : Whether a college, university or church, get protection for your organization. Insurance for hospitality industry businesses : For B & Bs, small inns, fishing retreats – customized coverage depending on your circumstances. Not sure which insurance coverage is right for your business? 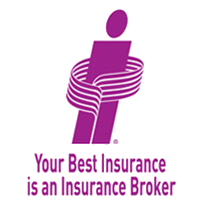 Contact a ThinkInsure broker today toll-free 1-855-550-5515 to get an Aviva Insurance Quote or learn more.